DESC - DE Technologies, Inc.
DESC is a fast-running Windows-based computer code for predicting the basic performance of shaped charges. DESC uses analytical models to predict the liner collapse, jet and slug formation, jet propagation, jet breakup, and penetration into simple layered targets. Output includes graphical and tabular summaries of all results. 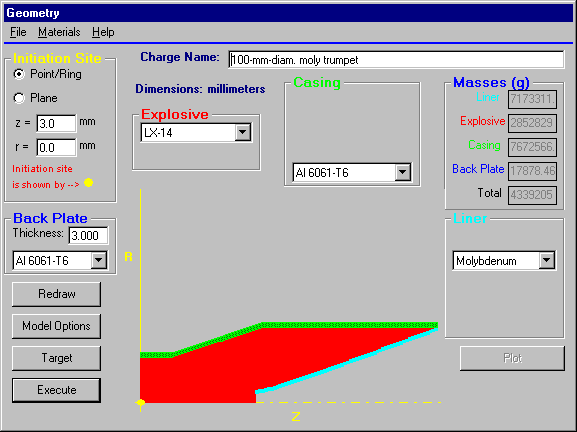 DESC’s graphical user interface makes it easy to set up shaped charges for analysis. 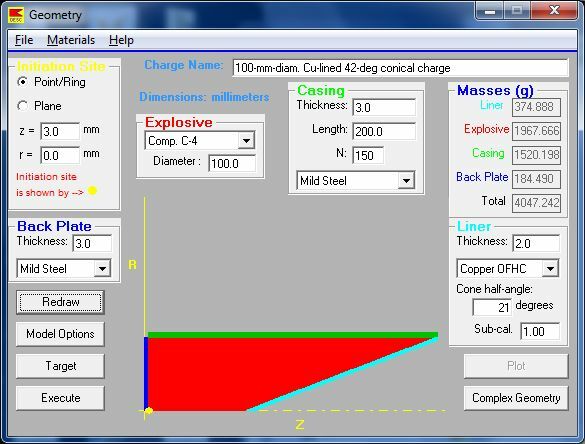 More complex charge configurations, including non-conical liners and boat-tailed casings, may be set up using a convenient Excel spreadsheet. Layered targets and other parameters can be easily defined. 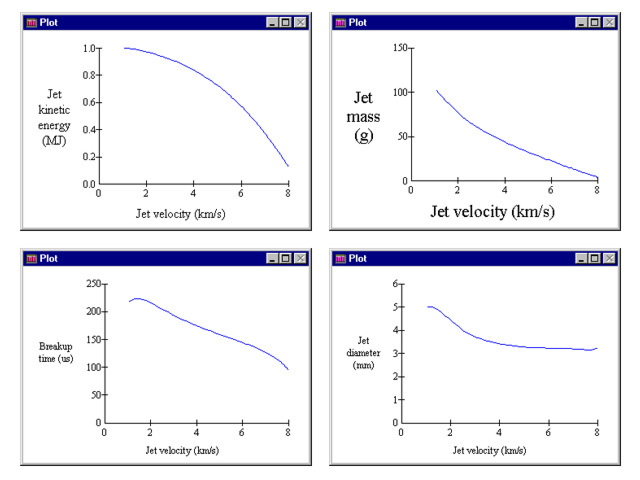 DESC automatically generates graphical representations of key predicted jet properties. 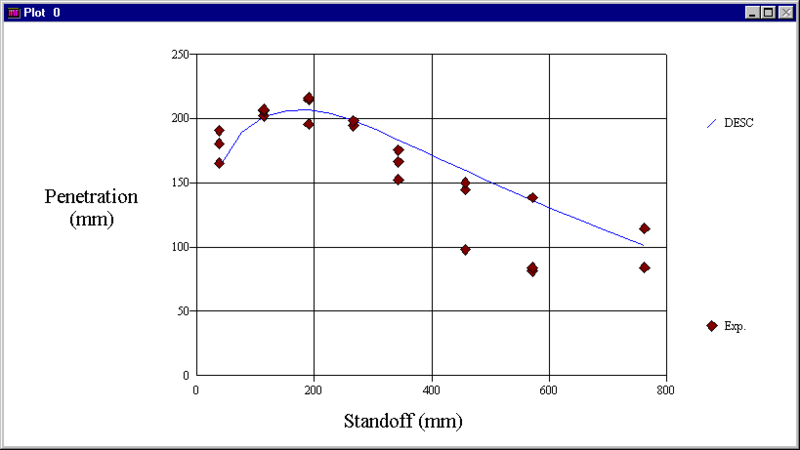 DESC-predicted jet penetration versus standoff into a monolithic armor target, compared with experimental results. Data from experiments or more complex computer simulations can be easily imported for graphic comparison.